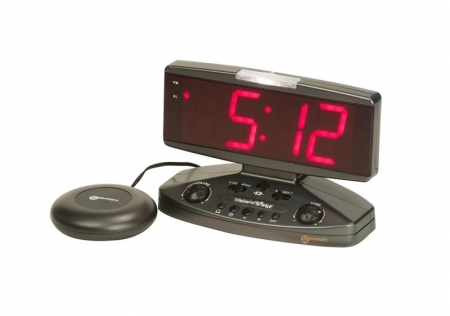 Alarm clock with a very large display for easy viewing of the time or setting the alarm. It includes a vibrating accessory to be placed under the pillow, enabling one to be woken without bothering anyone else. This device is recommended for those with low vision as it has a large screen with which to set waking-up times. In addition, if the person also suffers from a condition that affects their hearing, the vibrating accessory will help detect the sound of the alarm. It should be noted that this device cannot be used by those who are totally blind.